Sentinel Visualizer lets you apply advanced Link Analysis visualization to reveal the hidden relationships in your data. Leveraging your definitions of entities and relationships among them, turn rows and columns into visual data revealing multi-level hierarchical relationships. Quickly understand hidden links among people, places and events that are nearly impossible to see in traditional data grids. As entities are placed on the network and their links added, you can easily see the entities they have in common. This helps you focus your limited time and budget on the most suspicious and highest value targets. With SQL Server, Sentinel Visualizer can handle extremely large sets of entities and relationships. Add entities to your visualization network, add their links and expand their links to see complex relationships in your data. Tens of thousands of data points can be added to your diagram in a highly optimized manner. Sentinel Visualizer includes the ability to view your complex link chart in three dimensions. Fly through your relationships and/or animate them to see the links in an even more powerful way. 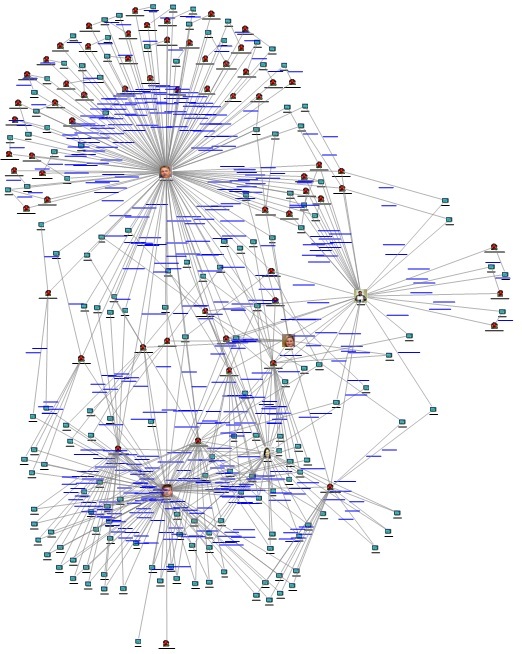 As your network gets more complex, apply the built-in Social Network Analysis features to pinpoint the most interesting or suspicious targets.